'World of Dance' Divisional Finals competitors The Lab. Photo by Trae Patton/NBC. The moment that everyone was waiting had finally arrived. Many talented groups had graced the World of Dance stage from the Qualifiers to The Duels and moving in to the Divisional Final. 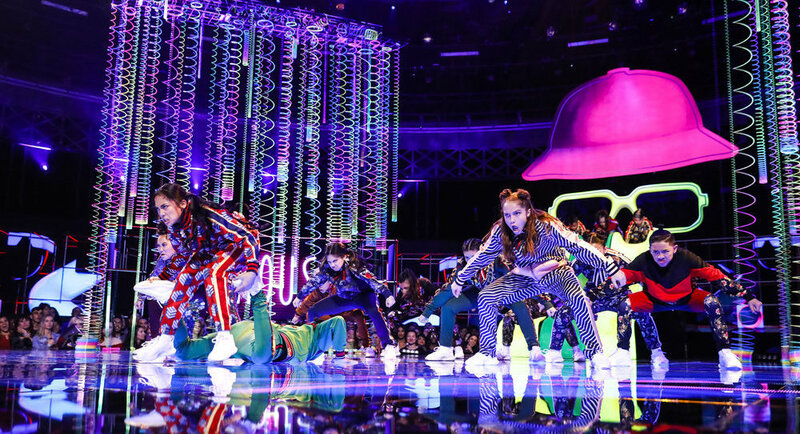 The stakes were high now as the four remaining acts would compete for the ultimate prize of $1 million and the chance to be named “World of Dance Champion”. Upper Team Division champs, S-Rank; Junior Division champs, Charity and Andres; Upper Division champ, Michael Dameski; and Junior Team Division champs, The Lab, now had a chance to perform twice to claim the prize. After performing to one song chosen by their judge mentor and one chosen by them, the highest combined score would claim the title. ‘World of Dance’ Finale competitors Charity and Andres. Photo by Trae Patton/NBC. Charity and Andres were first to take the stage with Derek Hough as their mentor. With the song chosen by Derek, Charity and Andres had a beautiful aesthetic to their choreography. Their musicality was spot on from start to finish. The song choice was one that took them out of their element but brought out the beauty of their flawless technique. There were some great surprise elements woven into their routine, and Charity delivered great power and athleticism while still dancing on a broken toe. Their performance was magical and very creative throughout, which earned them a score of 94.3. Their second performance was certainly a switch from their first. There was an edgier feel to the music as well as the choreography. Charity and Andres served up both intensity and grace with phenomenal partnering elements. Their athleticism was unmatched as they moved from one transition to the next. With some amazing tricks sprinkled into their routine as well, Charity and Andres’ performance was one that brought the judges to their feet. They scored 94.3 for their second performance as well. ‘World of Dance’ Finale competitors S-Rank. Photo by Trae Patton/NBC. Mentored by J-Lo, S-Rank came to win with their first performance. They took the song chosen by J-Lo and added a twist to it in true S-Rank fashion. They brought a different vibe to their style with waacking, krumping and held no stops with a fun and quirky routine. They brought their S-Rank swag, and their energy flowed through the dancers and in to the audience. They took risks, but they were great ones. With a score of 93.0, they knew they had to bring the heat in their second performance. S-Rank chose a biker theme for their second performance and focused on the notion of brotherhood in mind. They came with the fire with a hard-hitting routine as they showed great emotion on stage. S-Rank had high energy from the beginning and showed great unity in their movements. They had the same great synchronicity that the judges loved and they finished strong with a great performance. Their second performance earned a score of 94.0. With a combined score of 94.3 for Charity and Andres, and a combined score of 93.5 for S-Rank, Charity and Andres knocked S-Rank out of the competition and held on to the chance of winning the big prize. 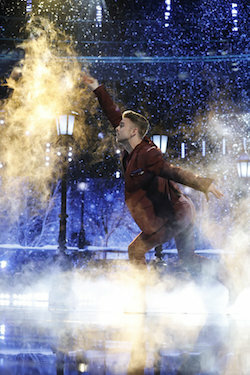 ‘World of Dance’ Finale competitor Michael Dameski. Photo by Trae Patton/NBC. Michael Dameski took on the challenge of portraying the message of his story in his first performance. Under the mentorship of Jenn Dewan, Michael was able to show a more vulnerable side of himself in his performance. He showed great emotion matched with amazing technique, which had wowed the judges from the first time they saw him perform. Michael’s performance was strong, beautiful and everything in between as his story played out on stage in the music and through to his dancing. It was a solid performance and one that gave the judges “goosies”. His first performance earned a score of 95.7. Michael flipped the script for his second performance and went warrior mode for this performance. His concept was well thought out and was one with a big risk as he added props to the equation. Michael delivered a mixture of styles in his second performance, from contemporary to hip hop and what seemed to be a little bit of African dance mixed in, which added great versatility to his performance. His final World of Dance performance was one that left a lasting mark on stage and earned a score of 96.3. With a combined score of 96.0, Michael knocked Charity and Andres out of the competition, leaving it to The Lab to perform and see who would win the ultimate prize. ‘World of Dance’ Finale competitors The Lab. Photo by Justin Lubin/NBC. 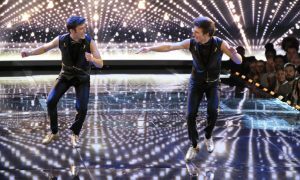 Although they got cut in the first season of World of Dance, The Lab had made great strides and surpassed expectations this season. With Ne-Yo as their mentor and the goal to top their last performance in the divisional finals, The Lab’s first performance was explosive from the start. They served great visuals and formations and came through fighting with each of their movements. The Lab’s performance was pure entertainment from the facial expressions to the dancing. The concept was fun and creative while highlighting everyone’s strengths. Not only was there undeniable synchronicity, but there was a spontaneous nature to The Lab’s performance which was a crowd-pleaser. Their mark was made after their first performance with a score of 97.0. After a high-energy performance in the beginning, The Lab decided to switch up the vibe for their second performance with the song selection and an important message. They took a big risk by deviating from what they normally do and brought a story to life on stage. The Lab sold their performance with genuine emotion from the start. While they still had explosive movements, it contrasted well with the music selection. It was a final performance to remember, and with a message that left a mark, The Lab brought everyone to tears. Their second performance earned a 98.0. 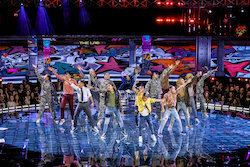 Although it was an intense round and one that would bring great excitement in World of Dance’s second season, with a combined score of 97.5, The Lab not only redeemed themselves from the first season, but they met their goal of winning the $1 million prize and the title of “World of Dance Champion”.